We're glad to announce that all trees are spoken for and we have several people on the waiting list! However, we will be taking walk-ups after 12pm once we have called everyone off the waiting list. You're welcome to swing by and see if there's anything left. Philadelphia residents can receive up to two free yard trees! 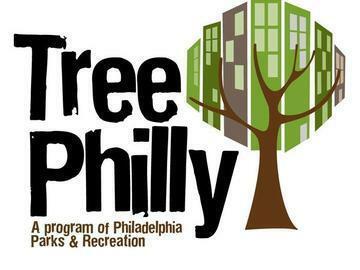 In partnership with the Fairmount Park Conservancy and Wells Fargo and TreePhilly, Passyunk Square Civic Assocation, Newbold Neighbors and East Passyunk Crossing are giving out 50 free yard trees on May 16 from 10-12 and Capitolo Playground. Register here for a pick-up and to select your tree. When you come to pick up your tree, we’ll show you how to plant and care for it and send you home with a free bag of mulch to help get you off to a good start. If you can't make it to our event, you can find detailed information on all the yard tree giveaways happening around the city at www.treephilly.org. Keep in mind that filling out this form does not guarantee that you will receive a tree. You will receive a ticket from Ticketleap and the end of your registration, but your registriation also needs to be confirmed and validated. You will receive a separate "Tree Confirmation Certificate" via email. You must bring a copy of your Ticketleap confirmation AND your "Tree Confirmation Certificate" to the event on the 16th to receive your tree. I will plant my tree in the City of Philadelphia on property I own, or property on which I have permission to plant. I will plant my tree in the ground (NOT in a container or in the sidewalk). I will plant my tree within 15 days of pick-up. I will water my tree (20 gallons a week) from March through December. I agree to allow TreePhilly to contact me for follow-up information about my tree. In addition, if you send us a photo of your planted tree, we'll enter you to win a special prize. More details to come!